Signup for the latest information about RISA product releases, training, webinars and more. 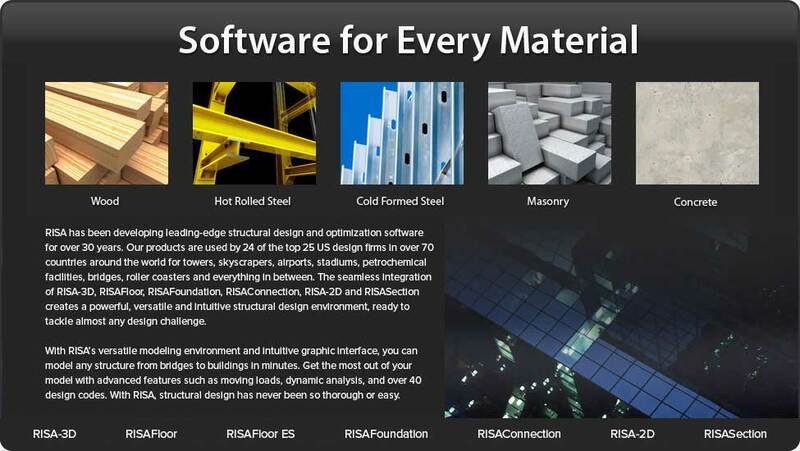 RISA offers seamless integration between our most popular structural engineering software programs. Save time and avoid mistakes by utilizing the full integration of our comprehensive suite of products.